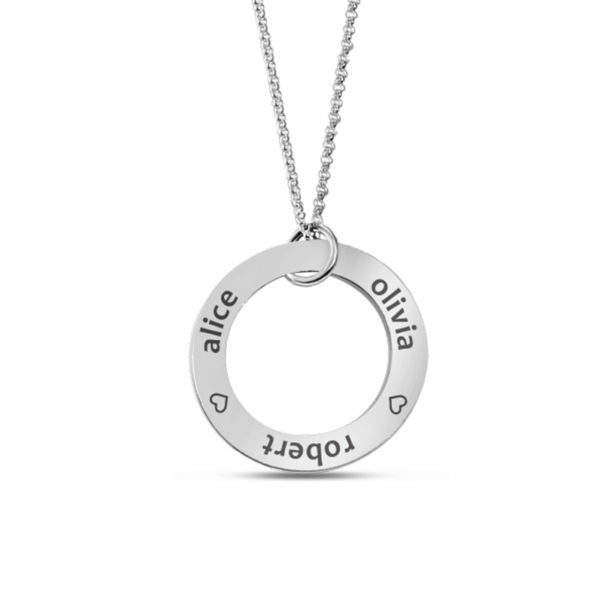 Shine brightly with this sterling silver pendant interchangeable insert part of our exclusive Colorado Collection. 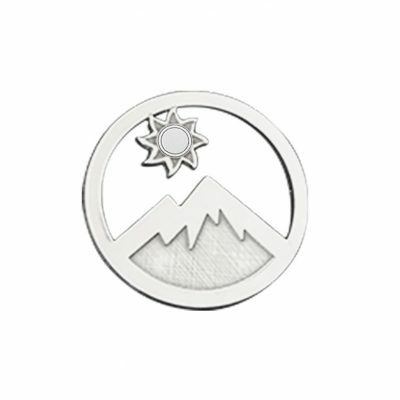 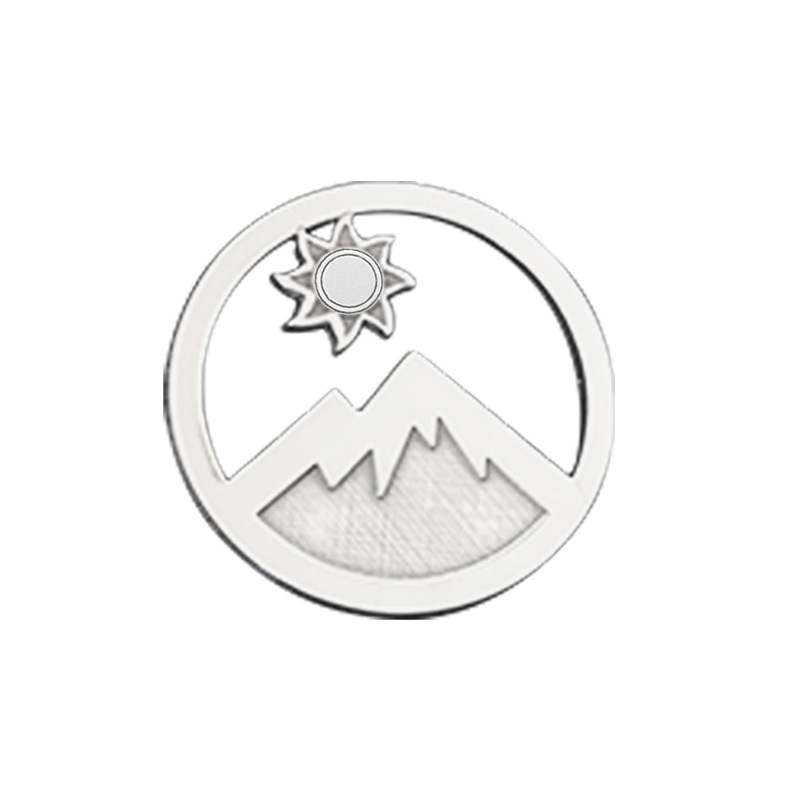 The stunning skyline of the Colorado Rockies is captured in a handmade sterling silver insert featuring the sun above the magnificent sky. 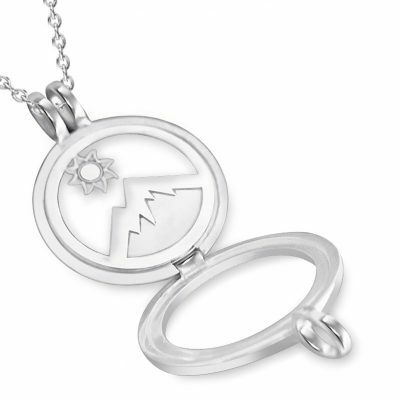 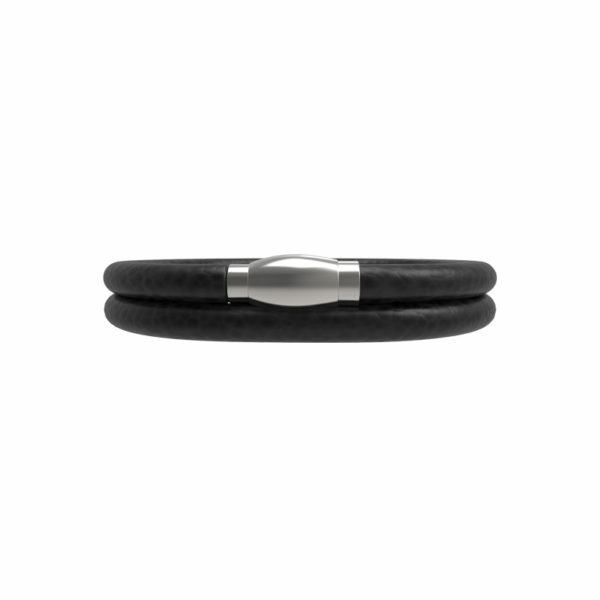 Easily change the look from night to day, with an insert showing the Colorado night skyline.